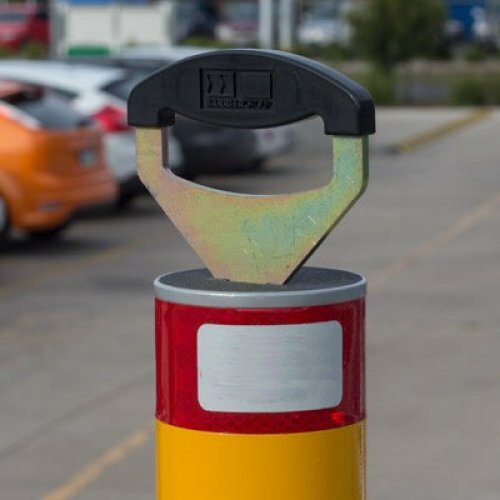 – 90mm diameter round bollards, extended or retracted position. – Hot dip galvanised mild steel, powder coated finish with 316 stainless steel. – The bollard is galvanised using in-ground casing. – Anti slip top surface and reflective bands available. – Two different low cost options of T handle keys. – Effortless design consisting of only 2 moving parts. 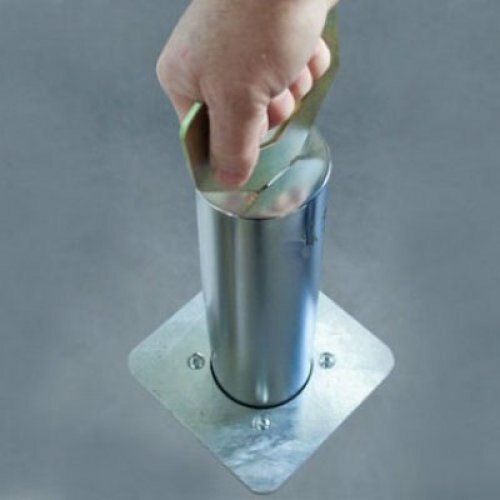 Novaproducts Retractable are ideal for traffic and parking control applications. They come in a 90mm round diameter with either extended or retracted position. Our retractable bollards are hot dip galvanised mild steel and powder coated with 316 marine grade stainless steel. 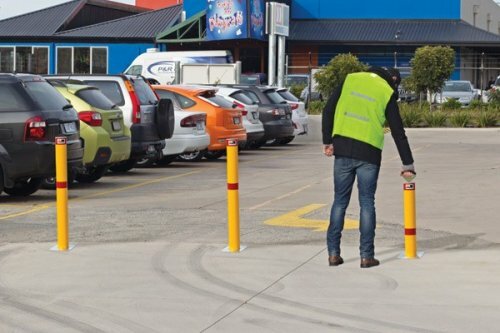 Novaproducts Acrod Bollards are designed to comply with AS2890. Mid-security applications such as traffic and parking control.